A few days ago we talked about what Freediving was and the ability we all have to do it with the guidance of an expert. Today I present you 5 destinations where we will find unique places to practice this sport. «Every construction of the ocean is a magnet for life,» says DJ Strunz, photographer of Riffe International. This point is incredible because of the underwater fauna that we can find in that place. It is dangerous for divers to be in those waters as there are many old pieces of buildings and one must be very careful. Dario Gonzatti, was the first Italian to lose his life diving in 1947 in that area. The Christ of the abyss honors him. Imagine being in a ghost town under the sea. This is what Alex Voyer, diving instructor for eight years in the Kuda Giri, says: «I love this shipwreck because I imagine the life of all the people who were on board». The fauna of the area is incredible and you can enjoy a truly unique environment. A freediver diving into the world renowned ‘Blue Hole’ in Dahab, Egypt. «It’s like the light at the end of the tunnel,» says a person who lived for the first time sinking in that part of the sea. It is a dangerous place but full of colors, it is one of the best places in the world to train in this sport. With one of the most experienced groups on this sport you can get involved and enjoy a unique and incomparable landscape. Around Banderas Bay you can find fauna, flora, people and incredible moments. 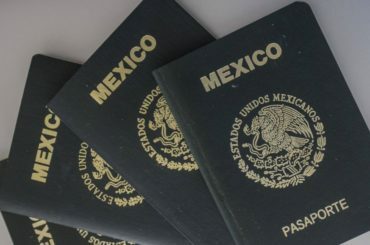 ¿Cómo tramitar el pasaporte mexicano en menos de 24hrs?